He will always remember his first experience of the Northern Lights in 2003....unexpectedly and majestically appearing in the night sky over Jeris as he arrived from the airport...it was truly inspirational. He has a particular love of Abisko in Sweden not just for the incredibly beautiful and rugged landscape but because of the warmth of the people and it was a natural choice for him to combine Abisko and several Aurora Zone locations for his signature birthday of 50 in 2011 including Harriniva, Menesjarvi, Nellim and Luosto. Due to his vast knowledge of the Aurora Zone destinations he has found this has been particularly helpful for people, who are uncertain as to where to go. So he can tell you about the landscapes for all locations, has intimate knowledge of the accommodation everywhere and can tell you about the food. He will always tell you that you are never guaranteed to see Northern Lights, but you are always guaranteed a truly memorable experience. Overnight Husky Safari, Harriniva: A simply amazing and unique experience. Five hours of guiding your own team of dogs to a wilderness cabin, where you will experience true silence apart from the occasional howl of a husky as it settles down in the night. If you want to find peace and serenity then this is how you do it. Aurora Snowshoe Trek, Abisko: Forget a cable car up a mountain; Grab some snowshoes and take a gentle walk up above the Abisko Mountain Lodge to a truly spectacular viewpoint to wait for the Northern Lights. Sustained by a good fire, hot drinks and a knowledgeable guide...it will almost certainly be rewarding! A night in the Snowhotel, Kirkenes: Surreal and definitely something you need to experience...sleeping in a Snowhotel with reindeer skin covering the ice. King Crab Safari, Kirkenes: The only place in the world where you find the famous King Crab and it is indeed a delicacy worth savouring. Rib Boat Safari, Lofoten Islands viewing Sea Eagles: The Lofoten Islands are simply amazing in terms of their scenery and a rib safari to Svolvaer allows you to see and photograph majestic Sea Eagles. A fantastic and exhilarating way to explore the rich coastline of these islands. Standing in the middle of a lake near Torassieppi holding a beer and watching the Northern Lights which lasted three hours: With beer, warm clothing, a conveniently placed lake and a clear night sky and Northern Lights above you and you will genuinely not really want to come back to day to day reality. 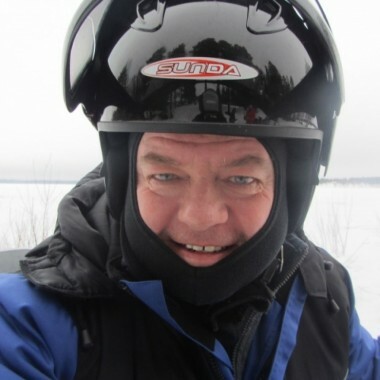 Snowmobiling across Lake Inari: The vast expanse of Lake Inari is the perfect location to experience how much fun it is to be on a snowmobile under the watchful guidance of experienced leaders. You can appreciate the scenery and there are no trees to inconvenience you.